One of Blu-ray's touted technologies—for studios—was that even if its copy protection was busted, it could be updated in future titles, requiring a new set of cracks. A November update is their most iron-clad yet. 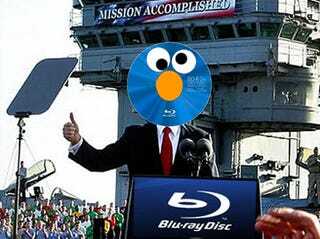 SlySoft's AnyDVD HD really kickstarted the back-and-forth war with studios over Blu-ray's updateable BD+ copy protection back in March, since it stripped discs of BD+, allowing you to back up Blu-ray movies. Subsequent updates to BD+ copy protection went uncracked for less than a week, Ars notes. But the latest update, last month appears to be the most solid yet, with SlySoft believing it will take three months to bust it this time around.